Kinshasa may not be as clearly focused as other horses, but that isn’t stopping the promising Matamata filly from being a deserved candidate for the Gr.1 Al Basti Equiworld Dubai New Zealand Oaks (2400m) at Trentham. “She’s only partially sighted in one eye, but you would never know it if you weren’t told,” trainer Cody Cole said. “That’s how I got her. Justine Sclater, who owns her and set up the syndicate to race her, approached me because she wanted her in a small stable for that reason. In just her third start the daughter of Tavistock cleared maiden ranks for rider Michael Coleman with a strong win when stepped up to 1600m at Hastings last week to justify her nomination for the New Zealand Oaks on March 16. “There’s plenty of improvement in her,” Cole said. “She’s definitely got a bit to learn and will want blinkers in the end. 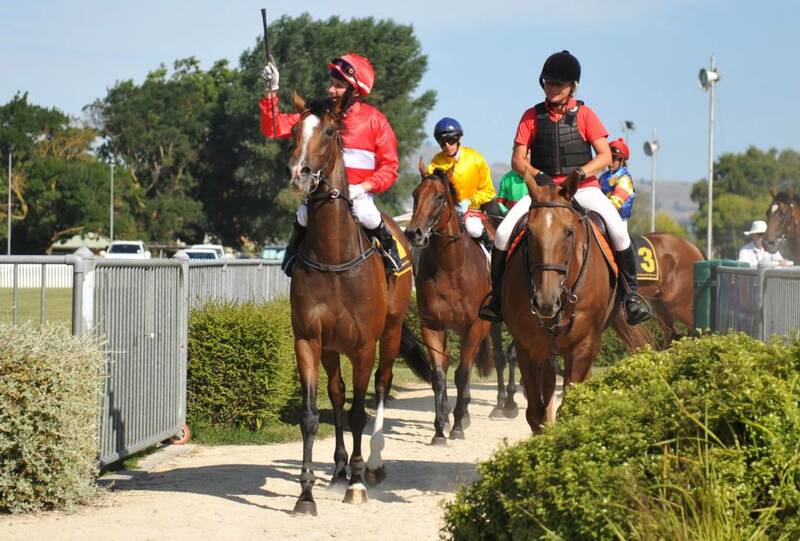 Cole gave Kinshasa five trials before her debut fourth over 1200m at Te Aroha on January 3 and used each one just for experience. One of two winners at Hastings for Cole, Kinshasa will get her first opportunity to prove herself as a stayer in the Gr.2 Little Avondale Lowland Stakes (2100m) at Hastings on February 27. “The Lowland is obviously a good target before the Oaks, but I’d like to give her another 1600m between now and then,” Cole said. “If I can’t find a suitable race she could even have a quiet trial at Cambridge. Cole also has a black-type mission on the programme for Group Two winner All Roads, a newcomer to his Matamata stable. Originally trained by Donna Logan and Chris Gibbs then Cole’s father, Tony, All Roads has been off the winner’s list since taking the Gr.2 Japan – NZ International Trophy (1600m) two years ago and the Tauranga feature is again his target. “I’m lucky the owners have sent him to me and he’s doing well,” Cole said. The seven-year-old son of Road To Rock has won six races and almost $250,000 in prizemoney and was runner-up in the 2017 Gr.2 Rich Hill Mile (1600m). He also tried his luck in a three-state Australian campaign early last season, finishing third at Randwick before heading to Melbourne where his efforts included a fourth in the Gr.1 Cantala Stakes (1600m) at Flemington. He then headed to Perth for an unsuccessful raid on two Group One events.